Philipp Thonet is a 5th generation descendant of Michael Thonet, and is actively involved with the company’s business since 1984. Today as sales manager of the United States of America. 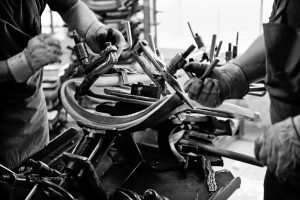 Since Michael Thonet established his first workshop in in 1819, the name Thonet has always stood for high-quality, innovative and elegant furniture. 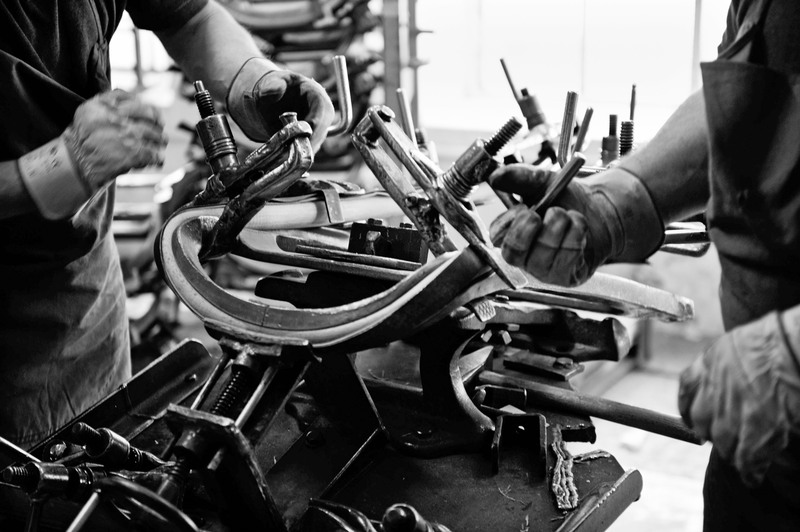 For the company today, the continuous process of innovation stands in the foreground alongside a focus on tradition and fine craftsmanship. 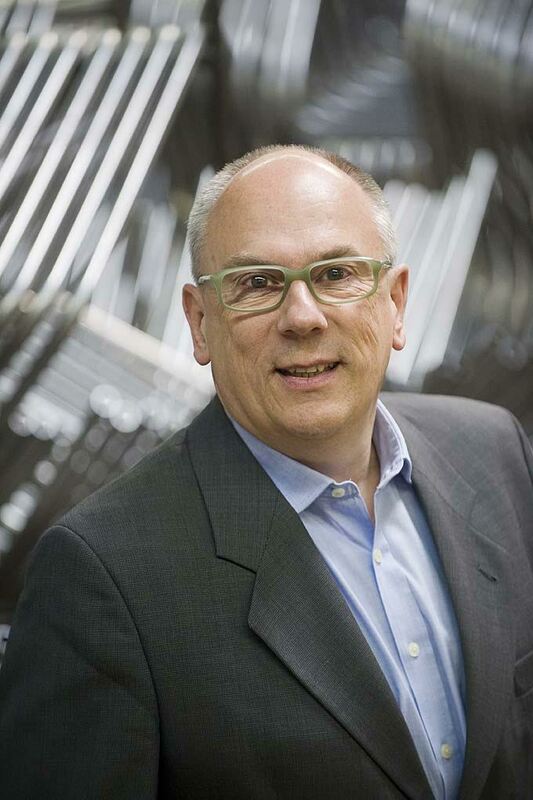 Thonet GmbH has its corporate head offices and production site in Frankenberg/Eder (Germany). 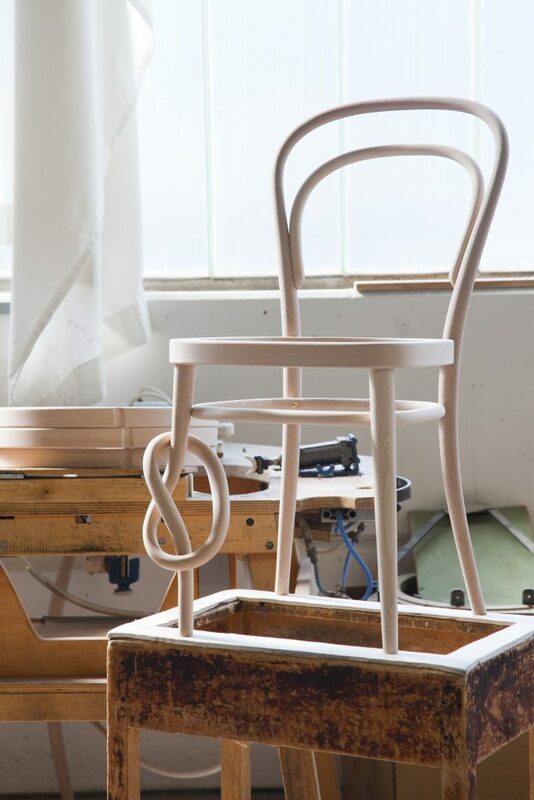 Just like Thonet’s tubular steel icons, the historic bentwood classics are timeless yet contemporary: icons such as the coffeehouse chair 214 and the elegant 209 still enjoy great success today due to their timeless elegance and perfect craftsmanship. The classic collection keeps evolving, take for example the Pure Materials collection, that lends the well-known pieces the individual character like a vintage jacket. 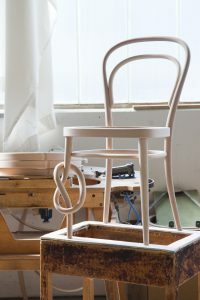 The intention is for signs of use to become visible by using materials such as natural wood, striking, grained leather. 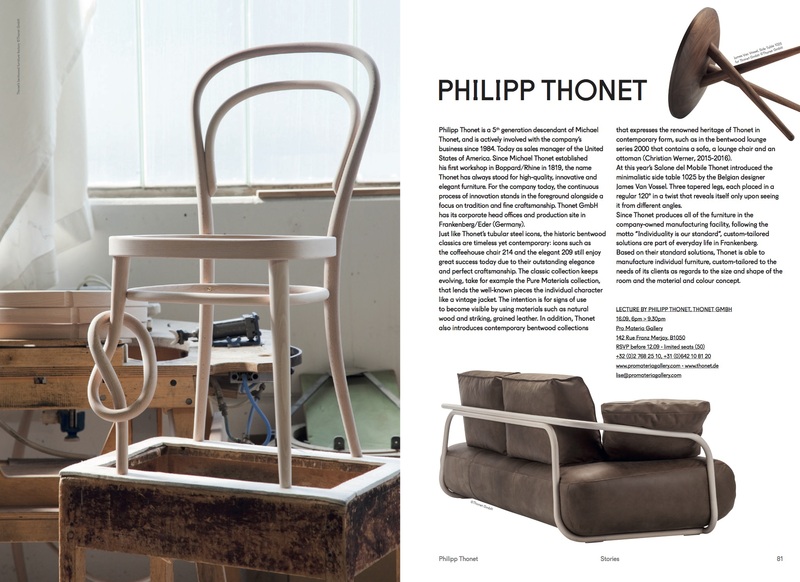 In addition, Thonet also introduces contemporary bentwood collections that expresses the renowned heritage of Thonet in contemporary form, such as in the bentwood lounge series 2000 that contains a sofa, a lounge chair and an ottoman (Christian Werner, 2015-2016). 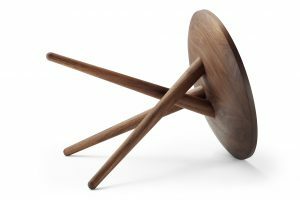 At this year’s Salone del Mobile, Thonet introduced the minimalistic side table 1025 by Belgium designer James Van Vossel. Three tapered legs, each placed in a regular 120° in a twist that reveals itself only upon seeing it from different angles. Since Thonet produces all of the furniture in the company-owned manufacturing facility, following the motto “Individuality is our standard”, custom-tailored solutions are part of everyday life in Frankenberg. 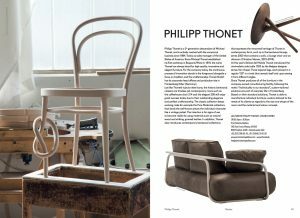 Based on their standard solutions, Thonet is able to manufacture individual furniture, custom-tailored to the needs of their clients as regards size and shape of the room and the material and colour concept.